The 10th October 2017 marks an anniversary, where we all come together to celebrate World Mental Health Day together for the 25th time! 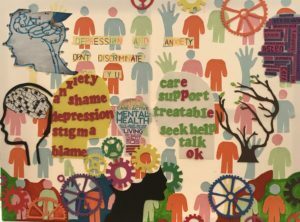 In 1992 the World Federation for Mental Health founded the awareness day and word has spread far and wide that we should be raising the awareness of mental health. Blair House and residents stood together on the 10th October 2017 to support World Mental Health Day encouraging people to talk through their issues or concerns. Mental Health effects two thirds of the population and many suffer in silence, therefore Blair House created an environment where individuals could talk about their mental well-being and the impact this may have on their daily living. 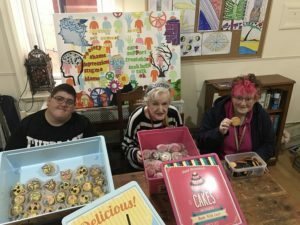 Together residents and staff baked themed cupcakes and created banners and posters about varying mental health conditions and the support available to people. There were many conversations taking place throughout the day and it was extremely refreshing to listen to people talk so openly about their own experiences and the support they have accessed to help them. Lets stand together to improve the awareness of Mental Health!